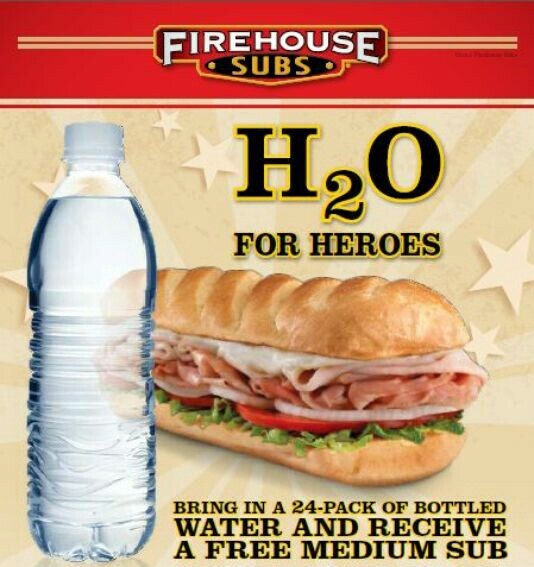 On Saturday August 1st Firehouse Subs will be offering a free medium sub in exchange for a 24-pack of bottled water. The water will be donated to local firefighters. on this issue. Really.. thanks a lot for starting this up. This website is one thing that is needed online, someone with some originality!